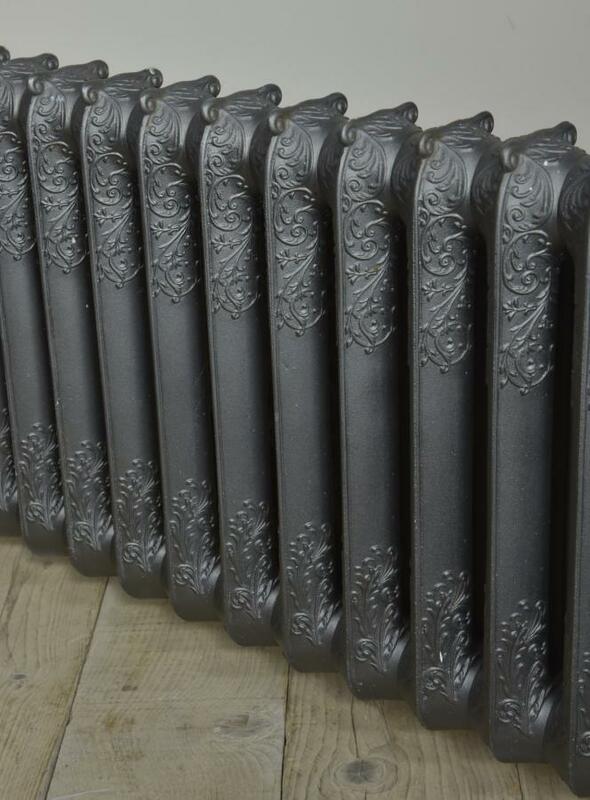 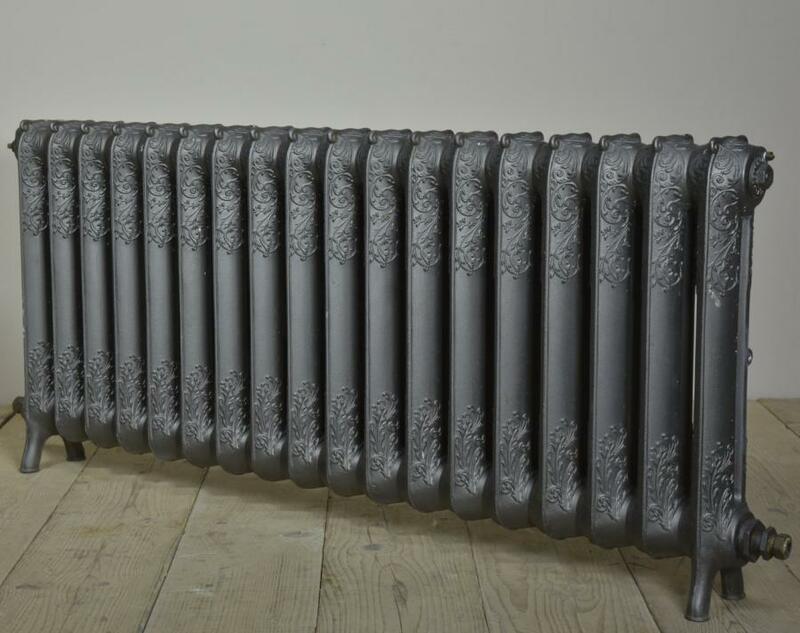 A floral or rococo antique cast iron radiator.Long and low.18 sections. 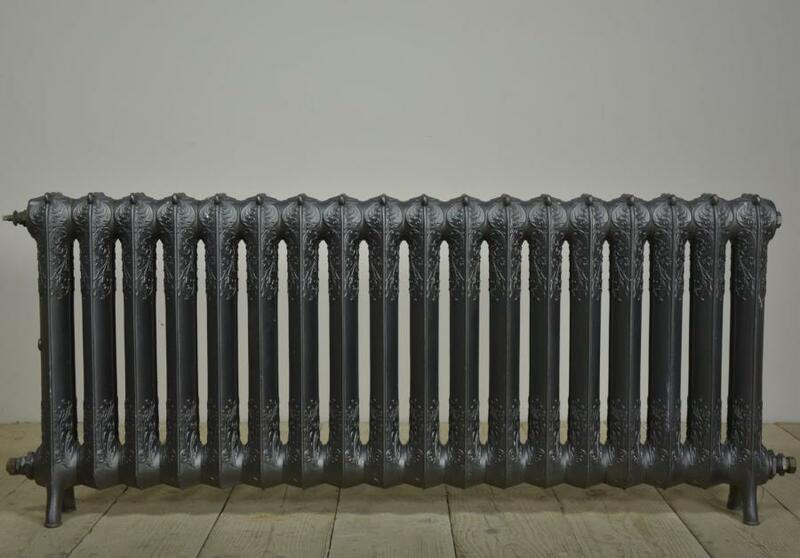 Sold as is or repainted.Sold subject to pressure test. 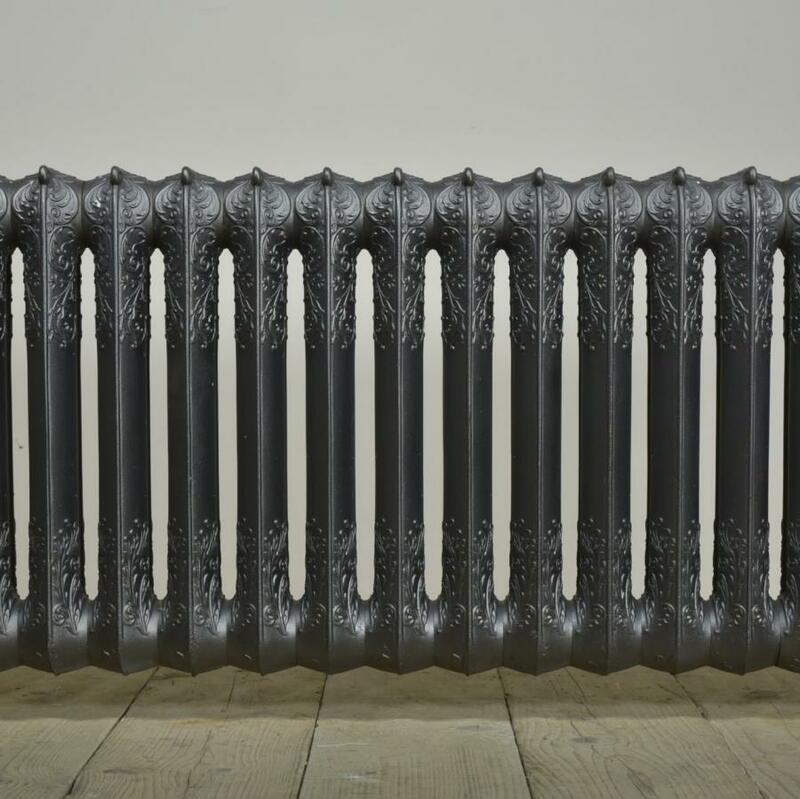 Dimensions in inches/cms; 24.25"/61.5cms tall 55"/140cms wide 4.75"/12cms deep For more / higher res images please see my blog which can be accessed through the news section of this (haes) website.